This recipe is a fusion of Chinese red-cooking and American barbecue. You will learn to love it. The stock can be frozen and re-used two or three times. Use at least 2 racks of pork ribs for 4 adults; all will be eaten! 2 racks of pork ribs, chopped into portions or individual ribs. Add all the stock ingredients to a large saucepan and bring to a rolling boil. Add the ribs, return to the boil and simmer until the meat is tender and beginning to separate from the bone. Transfer the ribs to a baking tray and keep warm. Thicken a little of the stock with cornflour to use as a brushing sauce. 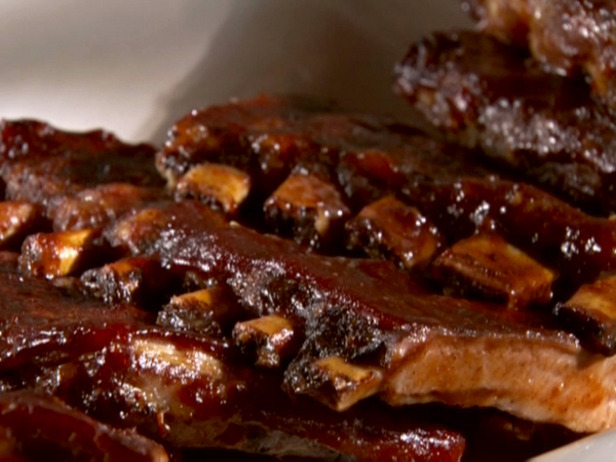 Brush the sauce onto the ribs and bake them in a hot oven or on a barbecue until the sauce begins to caramelise. You can add more sauce for extra-sticky ribs.